Kerrie Logan Hollihan is the author of: The Latin American Celebrations and Festivals 4-book series; Isaac Newton and Physics for Kids: His Life and Ideas with 21 Activities (For Kids series); Theodore Roosevelt for Kids: His Life and Times, 21 Activities (For Kids series) and her latest book, Elizabeth I, the People’s Queen: Her Life and Times, 21 Activities (For Kids series). After reviewing two of Kerrie’s fabulous nonfiction books for kids, Theodore Roosevelt for Kids and Elizabeth I, the People’s Queen, I asked her if she’d answer some questions for our curious readers. She said yes, and wow did she share some invaluable information! How did you get started writing nonfiction for children? When I was a kid growing up in Oak Park, Illinois, I lived two blocks from an African American chemist whose home was firebombed when he moved in with his family. I did some research on him and discovered that my neighbor, Dr. Percy Lavon Julian, was the first black admitted to the National Academies of Science. He developed a plant substitute for cortisone in the 1930s — from soybeans! Dr. Julian fought racism his whole life. So…I decided to write a middle grade biography about him. To make a long story short, the manuscript hasn’t yet found a home. I connected with a local group from the Society of Children’s Book Writers & Illustrators. Two nonfiction authors saw me carrying a stack of books about Isaac Newton out of the library and connected me with their editor at Chicago Review Press, and that’s how I got started. What a great story, and now you’ve got me interested in Dr. Percy Lavon Julian! What made you decide to choose Queen Elizabeth I for your latest biography? I figured that the Tudors always have a following, and I pitched the idea to Chicago Review Press. Over the course of a few months, the topic was refined a bit and we ended up with “Liz” as my subject. Because we develop at least 21 themed activities to our subjects, I was sure I’d have some fun thinking about what to go with. I tried to tap into a variety of activities that relate to life in Elizabethan England. How on earth did you sort through and organize all the information out there about Elizabeth I for your book? That must have been quite a time-consuming challenge for you. When I start with a topic like Elizabeth I, I read several adult biographies first. I try to choose one of the “classic” biographies from earlier in the 20th century, and at least another one published since 1990. That way, I have a feel of how history’s view of her has changed over the years. I also read several examples of juvenile biography to see how other authors have presented her since the 1960s. Then I dip into general histories of the time to help with context and background. My favorite go-to resource for historical overviews and authenticating details is Britannica.com. I develop a timeline with key events and people — always keeping in mind what I want my middle grade readers to understand about Elizabeth and the backdrop of her life, the Reformation. I have to keep things simple but still explain the historical setting in which she lived. In writing about the Reformation, I tried to show both the Protestant and Roman Catholic point of view. I use MS OneNote to organize all my research. It’s a wonderful tool. For Elizabeth, I wrote an outline for each chapter in a section and added other information that I wanted to include. By the time I start writing, I feel fairly familiar with the information I have and it goes from there. That is quite a process! Before writing this book, did you find the British royal family tree to be as confusing as so many others do? Yes and no…at one time I could have told you every English/British monarch from Alfred forward to Elizabeth II. I knew about the Tudor line of course, but when I studied Elizabeth’s family tree I gleaned a lot of new information…all those aunts and uncles and cousins and the sometimes crazy stories about what happened to them. One cool thing I always enjoyed is that Elizabeth was a direct descendent (through her grandmother Elizabeth of York) of Katherine (Kathryn) Swynford, mistress and later wife of John of Gaunt. Back in the day, Anya Seton wrote a fabulous historical novel about her entitled Katherine. During the research process, what did you learn about Queen Elizabeth I that really surprised you? Elizabeth had to make so many compromises with herself. She lived with denial — a lot of denial. For example, Elizabeth held off as long as possible before she signed Mary Queen of Scots’ execution order, and then she turned right around and basically denied it. She certainly needed the attentions of a “suitable” man at all times, even when she was a mature woman and should have “known better.” That said…she was so shrewd at least part of that attention-seeking was a way to maintain her power, I’m sure. Why was Queen Elizabeth I known as “The People’s Queen”? I decided that I wanted to portray her as a queen who realized that ultimately, her power rested on the collective will of the “people.” Of course, we don’t define “people” as in “we the people” quite the same way, but Elizabeth wisely sensed that she needed to maintain a healthy relationship with Parliament as well as ordinary men and women when she encountered them from time to time. She understood that it made for good public relations. You don’t see the same dedication from the Stuarts or the Hanovers or even some of the Windsors. But I daresay that Prince William has a good grasp of the “people” — from his mother Diana. One of the many aspects of Chicago Press Review books for kids I really like is that they are written so children can understand them, yet teachers and parents can learn from them as well. Was that a conscious goal of yours while writing your three biographies – to appeal to adults as well as kids? Absolutely! Theodore Roosevelt said once “I believe in children’s books….and that adults should get something out of them.” It helps that I have a background in journalism that taught me how to achieve maximum effect with a minimum of words. Children who read these books are presented with information that I consciously write at a simpler level than for teens or adults — no compound-complex sentences! But the essential history is the same as what’s written for an older audience. When I write, I really do sweat over how my language sounds to the reader. I have to keep vocabulary fairly simple, but that doesn’t mean the writing should be boring. My words have to sing. As a book reviewer, I’ve found that some children’s books appear to be patronizing in that the author talks down to readers. How do you manage to consistently avoid doing that with your books? Thank you for that observation! In the course of raising my own two kids, I learned that they always did better in school when presented with a challenge — to work “up,” so to speak. My guess is that young readers who pick up my books are already motivated to learn new things. So it’s my job to give them that. In the world we live in, kids are exposed to so many ideas. Sometimes they stick; sometimes they file things away in their heads and think about them later. I’m a big fan of interdisciplinary learning. Mostly I try to write so that my readers make connections about what they are reading and what they already know. How do you come up with all those amazing activities for the readers that go along with your biographies? I’m so impressed that you are the source of all those activities. Where do the marvelous illustrations in the books come from? We authors are responsible for finding images for our books. Sometimes I have to buy permissions from museums and private collections, and that’s very expensive but important to the look of the book–you never know when a child will see a picture and then sit down to read more about it. I use old pictures that I find in library books, and I also buy a lot of ephemera on eBay! I find that rather surprising that the illustrations are the author’s responsibility. But it does sound like a great deal of fun getting it altogether. What do you find to be most challenging about writing children’s books? 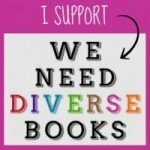 Frankly, finding publishers who are willing to accept nonfiction. It’s getting tough out there to compete with websites. But I hasten to add that few websites can provide the background and context that we try to supply in a good book! Watching a kid pick up my book and then sit down to read it! What advice do you have for an aspiring author who is thinking about writing a nonfiction book for children? Get in touch with other authors who are in the field. 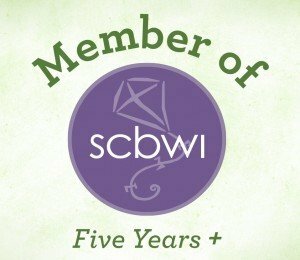 The best way is to join the Society of Children’s Book Writers & Illustrators. Then find a group of writers to critique your work. Children’s book authors are very open to sharing all that they have learned. I’ve been doing this for a few years now and there’s always something new to discover. The 100th anniversary of World War I comes in 2014, and I just finished an 18,000 word, 56-page proposal about the war that I’ve sent off to an agent. Plus I’m working on a new proposal for another of my favorite topics, national parks. One day, I hope to write a novel…writing fiction is hard for me, but I have an idea I’d like to get down on paper. Whether fiction or nonfiction, it’s always about ideas and how to get them to young readers! Kerrie, this has to be one of the best author interviews of all time, thanks to your phenomenally insightful answers. It is so important that readers understand the lengthy research and writing process required to author a successful nonfiction book, but they don’t often have the opportunity to learn about it from a successful author like you. I so look forward to reading your next book! Kerrie Logan Hollihan’s books have been honored by Smithsonian magazine, the National Science Teachers Association, the Chicago Public Library, and the Junior Library Guild. She holds degrees in history from Allegheny College, where she was elected to Phi Beta Kappa, and the Medill School of Journalism, Northwestern University. For more information about Kerrie and her books, visit her website. Also check out the blog Kerrie shares with two other writers.